A cavalcade on Mickey’s 90th birthday will kick the ongoing celebration into 2019. Mickey’s 90th birthday celebration, known as the World’s Biggest Mouse Party will span the globe and year! Throughout the course of this celebration, both Mickey and Minnie’s 90 years will be highlighted! The Walt Disney World Resort will be celebrating Mickey’s 90th birthday November 16-18th. During the celebration, there will be both special food and beverage offerings. At the Magic Kingdom during the “Move It! Shake It! Dance & Play It!” Street Party, guests will join in singing Happy Birthday along with the Dapper Dans on Main Street, U.S.A. Over at the Rockettower Plaza Stage in Tomorrowland, a special dance party will be held. As things move into 2019, the celebration will continue as the World’s Biggest Mouse Party comes to the Resort. 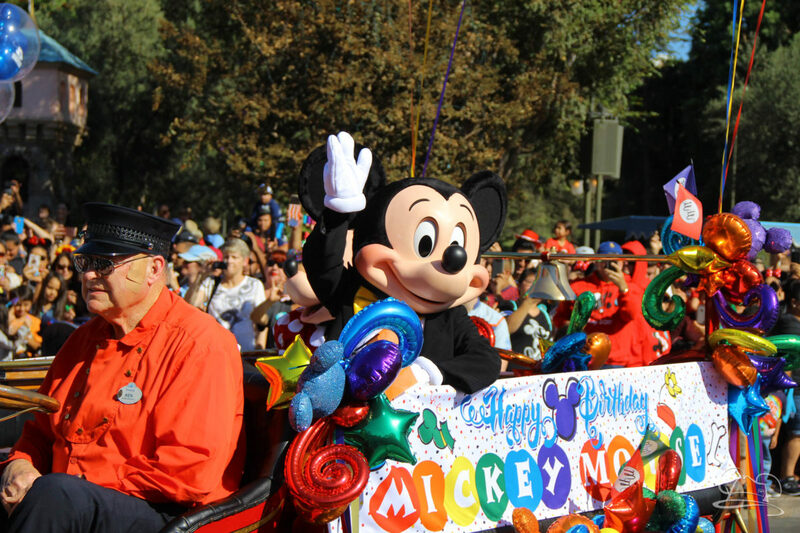 At the Disneyland Resort, a cavalcade will celebrate Mickey Mouse’s 90th birthday on November 18th. 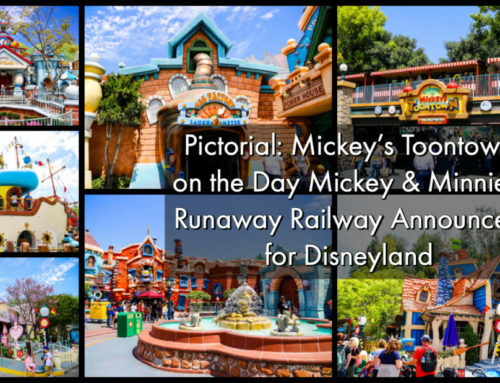 This will feature some of Mickey’s friends and also the Disneyland Band. Beginning at it’s a small world, it will continue along the parade route so all can with Mickey a happy birthday. There will be a special moment at Sleeping Beauty Castle before the cavalcade continues to Main Street, USA and Town Square. The party will continue in 2019 at the Disneyland Resort as the World’s Biggest Mouse Party is celebrated there as well. The Disney Cruise Line will celebrate Mickey’s birthday as well! This will be with the World’s Biggest Mouse Party as well. Continue to check back at DAPS MAGIC for more details on this party as they become available. 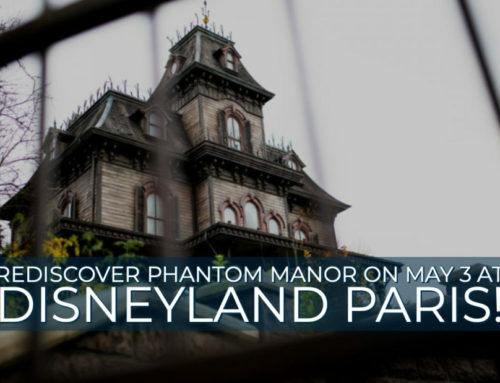 The newest Disney theme park will also be celebrating this special event. Shanghai Disney Resort will have the honor of kicking off the World’s Biggest Mouse Party! It will begin with a new Mickey-themed float at the opening ceremony of the Shanghai Tourism Festival on September 15 to commemorate the Shanghai launch of World’s Biggest Mouse Party. 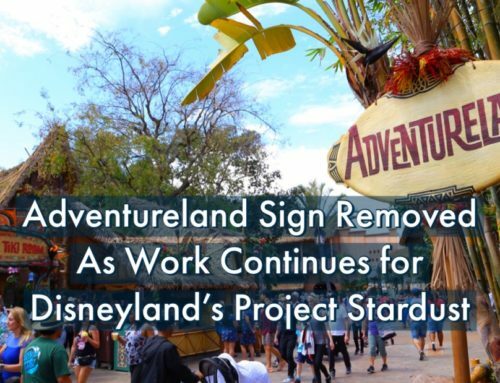 A giant birthday card will also be installed next to the Storytellers statue in the park. It will include birthday wishes from some of Mickey’s pals. There will be special food and beverages available from November 16-18th. During those nights, Happy Birthday will be sung before their nighttime spectacular. On the evening of the 18th, a special nighttime spectacular celebrating Mickey will be presented at the Enchanted Storybook Castle. Hong Kong Disneyland will begin its celebration of Mickey Mouse’s 90th birthday on his actual birthday, November 18th. The celebration will include special food, beverages, merchandise, and a hotel room overlay. There will also be a We Love Mickey projection show offered through February of 2019. Hong Kong Disneyland will also offer special stickers on November 18th to celebrate Mickey’s birthday. The Tokyo Disney Resort will celebrate Mickey Mouse’s birthday this fall with special decorations and also merchandise. Disneyland Paris will be celebrating Mickey Mouse’s birthday with the World’s Biggest Mouse Party as well. The celebration will continue from the fall into the winter. 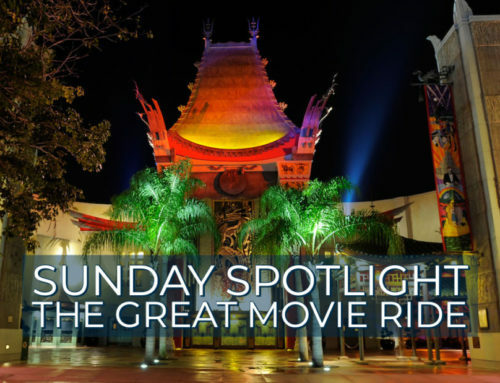 There will be special holiday seasonal entertainment options along with some other surprises. Mickey: The True Original Exhibition is a special pop-up exhibit that will be arriving in New York City. It will be open November 8, 2018 – February 10, 2019. It is an immersive exhibit that is inspired by Mickey Mouse, the “true original.” It will explore his global impact on both pop culture and art. It will span the entire 9 decades of Mickey Mouse that began with his appearance in Steamboat Willie and continued on through over 100 shorts, appearances in movies, and more! 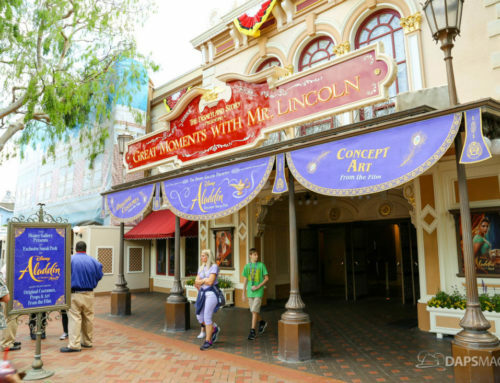 Guests visiting this exhibition will get to step into reimagined Mickey moments. Mickey Mouse’s 90th celebration will be here before we know it. What are you most excited for with it? What is your favorite Mickey Mouse appearance or role through the last 90 years? Let us know in the comments below!